Fix My Life – WHO WERE YOU TODAY? I always felt so hot and cold towards her. Whenever she doesn’t feel well, whenever she is upset — I tend to ignore it. And it’s a symptom of what I’ve had to endure. It’s not easy switching your learned responses when you have been conditioned for years and even so when you’re constantly reminded of the past. There are still things that my mother says and does that remind me of the fact that although she is no longer the same person she was when I was a kid she still certainly displays some similar characteristics. For example, my mother doesn’t typically apologize for anything unless someone calls her out on it. She doesn’t respect your space and likes to rearrange your things the way she wants them. As a child she used to take things from my room and give them away without asking. I don’t think anyone could ever blame me for being upset. I like to think that I’ve forgiven my mother for everything that she put me through emotionally, mentally, physically but I can’t seem to get past it. 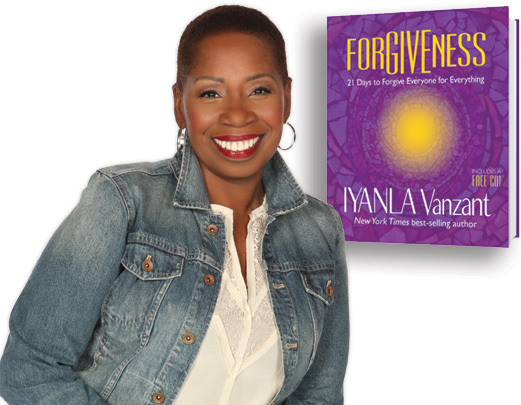 I’m hoping that by immersing myself into Iyanla Vanzant’s book Forgiveness will help. I’m starting this 21-day journey tonight and will be documenting my progress. Here goes everything!